Last year I meet an amazing woman named Adrienne Lloren – a rapper, singer-songwriter, youtuber, marketer, and overall happy person. Adrienne is on a mission to get creative entrepreneurs amped up to craft a life and business they love – JUST LIKE ME, so I was pretty damned stoked to record this masterclass for her online “Thriving Artist” series! Even more exciting is that I now get to share this bad boy with the world! Aside from the fact that I say “Right?,” and “You Know,” about 100 times in 45 minutes, it’s a great interview and we break some myths about building a 6-figure freelance business and landing your first big client. Like that you need a high brand, huge following and a perfect website (you don’t), or that building a business is complicated (it isn’t). So, if you’re thinking about starting a business, want to land more freelance clients, want to sell your artwork online or simply want to know how to make 6-figures as a freelancer, take a listen below. P.S. While the free-trial offer has expired, you can book a free consultation to learn more about Six Figure Freelancers here. Adrienne: [00:00:00] What does it really take to land a 5k plus client. Today we’re digging deep into short term marketing strategies to help you land your first big client. Hello creatives. 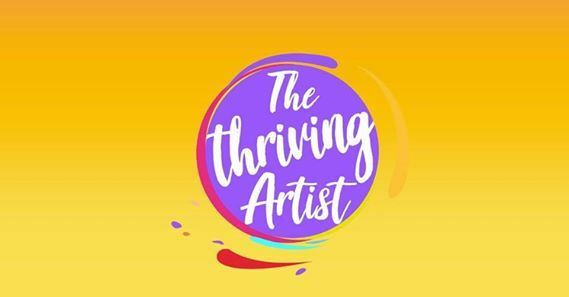 I’m Adrian Lauren the host of the thriving artist masterclass and during this expert interview series we will be discussing how to position package and pitch your creative work to resonate with more buyers. Today we have Kate Bagoy. 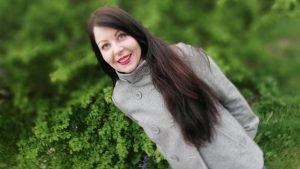 Listed as one of Thrive Global’s limit breaking female founders, Kate Bagoy is an award winning designer, strategist, business coach and founder of SixFigureFreelancers.com – the go to online program for growing a high value freelance business. Adrienne: [00:00:45] After quitting a corporate dream job in 2008, Kate moved to the Silicon Valley to manage design and marketing for a mobile startup. The Valley wasn’t a fit but she caught the startup bug and has been working with entrepreneurs ever since. Kate has worked with more than 50 startups as a designer, marketer, product manager, strategist, analyst and advisor. She is a graduate of the Portland seed fund, served as a mentor at multiple accelerators and educational programs including Washington State University’s map program and Georgia Tech’s ATDC boot camp and has led projects for several Fortune 500 companies including Nike, Ricoh, HP, Apple, BP and Microsoft. Kate holds a BFA in graphic design and an MBA in marketing and international business. Obsessed with travel since the first flight to Oregon at six years old, Kate left the U.S. in January 2017 to travel full time and runs her business entirely online. She helps other creatives do exactly the same thing at sixfigurefreelancers.com. Adrienne: [00:02:02] Kate’s product personal mission is to inspire and empower people to lead lives by design not default. And on that beautiful note, please welcome Kate Bagoy. Kate: [00:02:14] Hi. Thank you so much for having me. I’m excited to be here. Adrienne: [00:02:18] Yes I’m so excited to have you too. So you’ve been traveling a lot. Where are you tuning in from now? Kate: [00:02:24] Currently I am in Long Beach California. I’ve just come off of two years of full time international travel and I’m back in the states kind of looking for where I want to be longer term. Adrienne: [00:02:36] What a fun and exciting thing to try to figure out. And I think even for me too I’m just thinking it’s like wow I’d be so glad to be running your business and traveling a lot. And today we’re going to really dig deep into how more freelancers can build and sell high ticket offerings which would give them the freedom to travel whenever, wherever. And so I’m really excited that we’re digging into this. So OK sixfigurefreelancers.com – that is your baby, that is your creation. After working with a lot of freelancers what do you think is the main difference between a 6-figure freelancer and a typical freelancer? Kate: [00:03:24] Well there are a couple of pretty key differences but I think the most important one is that six-figure freelancers understand that they are building a business. They make this mindset shift to think of it as building a business rather than searching for jobs. So one of the top mistakes that new freelancers make when they get started as they try to skip all of the marketing piece of building a business and they go straight to finding work. And they end up in this kind of endless cycle of hunting for gigs. You know, on Upwork or the other freelancer platforms or Craigslist … whatever and they’re constantly searching for jobs. And then while they’re working on those jobs they don’t have anything bringing in leads. Which is part of running a business. Kate: [00:04:08] So that’s one of the really key pieces is making that mindset shift to think like a business owner. And that’s one of the things that I find a lot of time with my clients… It’s like you’re you’re not searching for jobs or not searching for gigs you want to actually build a brand and build a business, which means you need to think like a business. Kate: [00:04:30] And once that’s done then there are a number of steps that six figure freelancers do a little bit different than the typical freelancer and number one is really learning how to market themselves effectively. It is absolutely critical. I believe anybody can be a successful business owner with the right mindset and the right marketing strategy. Adrienne: [00:04:51] And we’re going to dig deep into that. So that’s exciting. Adrienne: [00:04:56] Do we want to just give a quick like recap for the group, because some people tuning in are completely just artists – don’t really know anything about marketing. Some of them have been freelancers for a few years and they’re figuring out how to up their game. Some of them may already be comfortable at selling high ticket product offerings and we want to figure out how to make that a more consistent thing. So maybe could we just give like, Cole’s notes of what marketing is here? Kate: [00:05:32] Yeah. I like to simplify it a lot particularly as creative people right. Most of us studied art or design or something creative in college we didn’t really learn about business and, you know, any creative program that you studied to learn the actual skills that you need to be a freelancer or artist, typically didn’t set you up to run a business. It set you up to find a job doing that. Kate: [00:05:57] And so it’s really important… business Is really simple. So if you want to be a business owner really there are four key areas that I like to break down a business. Kate: [00:06:06] There’s marketing which is really bringing in people into your business. Sales is having that conversation and making them an offer to work with you or to buy something from you, if you’re a traditional artist. Operations is like how your business is operated what you actually do how your structure your day. There’s everything else and creative people you don’t really need to worry too much about everything else that’s like finances and legal and structure. It’s just not as important when you’re getting started. So we’ll skip that. Kate: [00:06:34] So, as I said marketing is really the piece that most creative people and freelancers in particular struggle with because they’re not equipped for it. They put up a portfolio with the work that they did which is great for finding a job – it’s not great for finding freelance clients. So, understanding the marketing funnel is really there’s four pieces of a marketing funnel. You’ve got prospects, leads, clients, and partners. And so the way that I want to break that down to make it super simple is a prospect of anyone that interacts with you or your brand – it’s people you meet at trade shows, people that come to your website and see it – just anyone you meet that could be a potential customer. Right? Kate: [00:07:17] And then leads are anyone that says “hey, yeah I am interested.” Or they fill out a contact form on your website, they give you their business card, they say “that sounds cool – tell me more.” That’s a lead, right? They’re interested. And that’s marketing – prospects and leads. And then you move into the sales cycle and a client is anyone that says “yes, I would like to work with you. Here is my money.” So you get hired, they become a client. And then partners are anyone that ends up supporting you or promoting your brand. So that’s referrals, people that have done business with you before and tell all their friends, your friends and family who are your biggest members. And so that’s marketing and sales in an nutshell. You meet someone, you get their information, you make them an offer, they hire you and then you repeat the cycle – hopefully with people that are bringing more leads your way. Adrienne: [00:08:04] Awesome. Awesome. That was such a good concise summary. I think everybody is on the same page now. Cool. OK. So let’s really dig deep into the main question of this talk which is, what does a freelancer really need in order to land that $5K plus client? You’ve got a bunch of points to talk about this and we really can’t go into everything in 40 minutes, like that’s really ambitious. Just so you guys know, don’t like freak out – I know this is going to be a lot of information thrown at you. There’ll be an opportunity to learn more about it later in the end but OK. So be patient with yourself, just let this soak in – if it’s too much that’s OK. Re-listen to this or check out the freebie at the end. No pressure. But I’m really I want to make this really like jam packed with a lot of value so I’m really excited to dig in. So, what does a freelancer really need in order to land that $5K plus client? Kate: [00:09:07] Well I don’t think I’m going to surprise you with my simple answer to this. So I want to get a little bit more into building the long term six figure brand and that’s where we’ll get a little more in depth. But for the first time when you’re starting out – when you’re a freelancer – when you’re just getting started, you want to focus on your fastest path to cash for finding your first big client. What we tend to do as business owners, and as creative people, is think that we need an amazing web site. We need a brand. We need a funnel. We need a logo and an e-mail program I need a blog with a bunch of posts. We need an MBA and certification. And testimonials, right? This is what we think we need. Kate: [00:09:48] What do you actually need to get a client, is a product or a service that hits a pain point for a specific type of person or client. We call this an ideal customer in your target market. Which is where they are. But you want something that actually solves problems or offers a solution for them. Kate: [00:10:09] You need some sort of online presence, particularly if you want to work anywhere the way that I do. This can be as simple as a linked profile. A Web site is really nice. But keep it simple at the start do not invest $10,000 in a website before you have clients. And you need to talk to people and offer to work with them. That’s what you really need to land your first big client. Kate: [00:10:33] But, let’s step into the marketing piece because this is where it’s most critical. After you’ve made that mindset shift that we talked earlier, about thinking like a business owner, what is really important to getting those big clients – the $5K and $10K + $20K clients – is that you position yourself as an expert. Kate: [00:10:56] And what I mean by that is you want to be a master, and not a dabbler. You want to be a specialist and not a generalist. That’s like the difference between going to a general practitioner when you have a heart problem or going to a cardiothoracic specialist. You want to be the cardiothoracic specialist for your clients issue. So if you’re a designer per se, you don’t want to sell yourself as a designer. You know you’re not selling “graphic design.” You are selling better client communications, you’re selling more leads on a website or you’re selling improved visuals of your brand and, you know, more excitement. You have to learn what it is that your clients need, in order to sell them solutions in their language. Make sense so far? Kate: [00:11:53] Perfect. So yeah… we want to position yourself as an expert, and then you want to focus on a very niche market. The smaller the market – particular when you’re getting started out and if you want to work with high end clients – the smaller the market the better. We think we’re limiting ourselves by narrowing down our market, right. This is a common thing. Well, “I want to work with small businesses but I’m afraid that that means no one else is gonna work with me.”. Kate: [00:12:18] Clients that want to work with you are going to come to you regardless. But what happens from a marketing perspective when you narrow your niche is you start talking in their language and you become the person they want to work with. And I give you another example. So, let’s say you’re an event manager and you have a website, and up on your website you’ve got three types of services. One – you do birthday parties and bar mitzvahs. Two, you do corporate meetings, and three you do small dinners. And it sounds great in theory, you offer these three very just disparate services to three different type of clients. Kate: [00:12:53] But what happens is, somebody will come to that website, and if I am a corporate client – let’s say I’m American Express and I need somebody to run a $1M event for me, and I see that you do birthday parties. I’m going to go “this gal is too small. She cannot handle a million dollar event if she’s doing birthday parties on the weekend.” Right? Kate: [00:13:14] And likewise, the mom who is looking for a really great birthday party for her kid comes in and sees that you’re doing a $1M event for American Express and she says “there is no way I can afford this person – I’m out of here.” So now you’ve lost two people because you’re not speaking my language. So that’s the importance of narrowing down your niche. Knowing who you want to work with – and you want to get as clear as possible with that before you start marketing – and then conversations become easy. And again, as I mentioned before, that fifth piece is you want to learn how to promote your services and the benefits of working with you, rather than your skills. Kate: [00:14:19] It’s more about shifting from searching for jobs. Kate: [00:14:23] You’re actually building a business, right? So what happens a lot of times… sometimes people come into freelancing because either their last job has ended or because, like me, they’re burnt out and they quit without a plan. I did that multiple times. And then, you kind of get into this cycle of searching for short term work. Searching for gigs, searching for things on Upwork or small jobs… And you’re constantly really just hunting for jobs -you’re not building a business. Kate: [00:14:52] So what a business owner does when they build a business, is they sit down and they create a plan and a vision for the business. This usually involves a business and a marketing plan. It can be as simple as saying “I want to work for my living room in my pajamas three days a week, and I want to make six figures a year and I’m going to do that by using my graphic design services to help small businesses grow.” Like, it can be that simple but, understanding that you are creating an actual business and then learning what you need in order to make that business a reality. Is that a web site, is that an online funnel or is it just going out to local events where your business owners are & having conversations? You figure that out as you grow, but that second piece after you master your mindset is really creating that plan and that vision for your success that you can create. Kate: [00:15:44] The third thing is learning how to position yourself to be that specialist, versus a generalist. It’s determining who that ideal client is, and how you can serve them. And that’s focusing down on a niche market, right? Which Is number four. Kate: [00:15:58] The smaller the better, in terms of the client that you serve and the services that you offer. So for me, my six figure freelancers business was “killer design for startups.” Everything I did was design work for startups in order to get them to grow. It was like creating websites and marketing and online products specifically for startups. And so it was very targeted to them – somebody else it might be small businesses, it might be a large business, it might be female coaches who like to travel, right? The smaller you can go with your market, the more detailed your, more powerful, your marketing and your conversation and your copywriting becomes. Kate: [00:16:41] And then the last piece, once you’ve narrowed that down your niche and the services that you offer and you kind of establish yourself as an expert, is again, selling the benefits or your services, and not your skills. That’s creating packages based on what your clients need, or determining what those pain points are or the value that they want when they work with you. And that gets in a little bit to the psychology of sales. Why do people really buy from you? Why do people really hire you? You know, for me as a coach, people don’t really buy “coaching” from me. What they’re really buying is confidence, and support, and strategy for growing their business and feeling like they can do this, right? It’s feelings and all of that… As a designer what people bought from me was better communications, more leads, more sales. Kate: [00:17:34] It wasn’t design. Adrienne: [00:17:36] Yeah. Yeah, the distinciton is really… The power is in making those distinctions. Yeah. Kate: [00:17:43] Exactly. And so it’s a process to get there, but that’s really the six figure freelancers formula- is like, you know, make that mindset shift and understand that you were running a business, not searching for jobs. And that means you’re gonna have to stretch yourself and learn some things that you might not like to do as a creative. [00:17:59] You know, it’s not in your nature to plan out promotions, and things. You want to create things, you have ideas. When you’re a business owner, you have to actually execute and make sure that you consistently do things to bring in business. And then that comes to creating a plan and sticking to it. That’s visualizing your success and, you know, learning to market yourself as an expert to a niche market, and selling the benefits and services instead of skills. Kate: [00:18:29] That’s the six figure freelancers formula. Adrienne: [00:18:31] Amazing. OK. So a big theme of this show is how to position, package and pitch your creative work to resonate with more buyers. And so I’m thinking I’d like to dig deeper into the third one where it’s like positioning yourself as an expert, because there’s some people like I mentioned earlier that are tuning in and they’re kind of just starting off. So some questions that are arising in my head on behalf of them is kind of like “well, I’m just starting off – I don’t feel like I am an expert. So, how do I now go and position myself as that? If I don’t see that in myself right now? Kate: [00:19:12] Gotcha. Yeah. So, if you’re not an expert that’s OK. You can at least become a master in a certain area, instead of a dabbler. What I mean by that is instead of trying 100 different types of things – go deep. Go an inch wide and a mile deep on a problem for a specific client, instead of going a mile wide and an inch deep with one hundred thousand different people. Right? There’s a great marketing term that when you speak to everybody, you talk to nobody. Nobody hears you when you’re trying to be all things to all people. So look at all of the things that you are talented and capable or want to do with your business. And pick one two three items to focus on in terms of trying to sell services or solutions. Kate: [00:20:01] So if you’re a writer, instead of trying to sell Social Media, writing blog posts, writing copy, writing for websites, technical manuals… every sort of writing… Pick one that you actually really like. And that’s where you start. You say “I write copy for websites.” Period. Right? And go out and try and sell that, and spend a month doing nothing but selling copywriting for websites. Instead of trying to sell anything to anybody that needs writing. Kate: [00:20:37] Because no one’s probably going to hire you if you’re all over the map. Kate: [00:20:40] If you’re a graphic designer, like myself, when you’re a designer and you’ve spent a certain number of years designing you can design anything – I can do a logo, I can do an illustration, I can do a website. You know, all of these things… But if you get really clear on either a specific type of design, or all design for a specific type of client, you’re gonna get much better traction. So, that’s the alternate. If you don’t want to specify a specific type of work, specify a very specific market. So, if you love to do illustrations – but you only like doing really feminine, girly, flourish type illustrations… you want to focus on what is the client that likes that sort of illustration? And maybe it’s female coaches. Or maybe it’s very feminine women that are getting married and need illustrations for their wedding invite. Like, figure out who it is that is likely to want what you have, and focus all of your efforts on connecting with those people. Adrienne: [00:21:49] Yeah. So you kind of also touched upon like narrowing down on your niche there So that’s brilliant. OK. So, now people are getting a better understanding of “OK, This is like the area that I want to position myself as an expert.” Now, it’s like, “how do I actually create a product offering for these people? How do I even build a $5K plus high ticket package or product?” Like, what are some questions they need to start asking themselves when brainstorming on that? Kate: [00:22:20] Excellent question and I’ve got quite a bit of work on this and in my online program, so I’m trying to think of how I can scale this back to just a few minutes since we’re just here together for a short while. So, number 1, you got to know who that client is and what their problem is. Right. 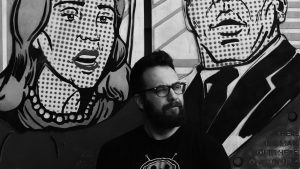 [00:22:38] So a great thing to do is like figure out who your client is, and I recommend like actually creating what’s called a persona in advertising, which is like, sit down with a piece of paper and imagine this is an actual person. So, Christina, for instance, is who your target market is. Her name is Christina. She’s 36. She works..
Adrienne: [00:23:01] Why don’t we continue with the why don’t we continue with the feminine graphic designing example, and let’s kind of like, use that as a practical step by step thing. Kate: [00:23:16] Perfect. So, my client’s name is Christina and she’s getting married in six months and she wants a custom wedding invitation with beautiful flourished custom artwork. All right. If that’s my client, then what I want to do is sit down and think about what it is she’s really after and just bullet point out some of those pain points that she’s struggling with this wedding that I could help with. [00:23:42] So, yes, she wants the invitation but then what about place cards? Maybe I could do a custom illustration for that. Maybe when they do the presentation at the wedding and we want a custom illustration for that. Right? Think about what it is that you can offer her, that would make her happy and make her life better and make her job better – whatever that is, and put together a package. And that’s your high end package – it has everything in it, right? And then your low end package is, like, “what’s the minimum thing that you could put together that would solve this person’s pain point?” And those are your three packages – I recommend having three packages to start of whatever service or a solution you offer for your clients – and that’s a high, medium and low. Kate: [00:24:27] And then in terms of setting your pricing for them, what you could look at – what I like to look at – is what it’s really worth. So for freelancers – freelancers typically work for businesses, versus consumers. And that means there’s usually more money to be had there, because businesses understand they need to spend money to get what they want. And so what I like to do is look at the value of what you’re actually offering. So for this case, we we’ll talk… we’ll pretend that we’re going after that copywriting market. I love to use this example. If you’re doing copywriting for, let’s say, your client, your target market, is retail and you write really great T-shirt descriptions. Adrienne: [00:25:55] Yeah. Is that a big no no to you? Kate: [00:25:59] I mean it’s great for when you’re getting started in terms of setting a baseline for what you want to earn, because you do want to figure out what it actually takes you to do. So you should be tracking your time… But what happens when you bill yourself hourly, is you become a commodity instead of a solution. And people take it for granted, and again, you’re not focused on value. You’re probably not going to get to six figures if you’re selling yourself hourly. Adrienne: [00:26:26] Gotcha. I had a follow up question earlier that came to mind, but I feel like you kinda explained it… But I want to give a little bit clarity in case other people are wondering about it too. So, what I was thinking about, like putting together packages, was like, do you just create like customized packages for people as you meet them, as you discover what their pain points are, and what they actually want from you? Or like, do you create like, preset packages and hope they fit into it? Kate: [00:27:03] You can do it either way. So a great way to do it, and the way that I did it, is I create sample packages, and then I do custom bids. So, what I recommended as a designer, and what I recommended six figure freelancers, is come up with some sample packages. Because what that does – on your website, in particular – when you’re getting leads through your website, which is important if you want to travel the world like I did. Is by creating a sample package, they get a better idea of what you can and cannot do, or what problems you solve – so create sample packages, and even sample pricing. Kate: [00:27:35] So I’m a big fan of the “starting at” pricing. Again, it gives them (potential clients) an idea, without locking you into a specific contract. And the other thing about -there’s a lot of controversy about whether you should have pricing on your website or not – I am a fan of pricing on your website as baseline pricing or sample pricing, because it gets rid of the people that are super cheap and are not willing to pay. And so you don’t spend a lot of time talking to people who don’t value your service. Kate: [00:28:06] I’m an introvert, so I would rather not be on the phone with people that have no interest in paying my fees. If you’re an extrovert and you love to talk to people, when you’re early on, don’t put pricing and you’ll get a lot more calls. But anyway, sample packages are a really great way to do it and that’s what I did. 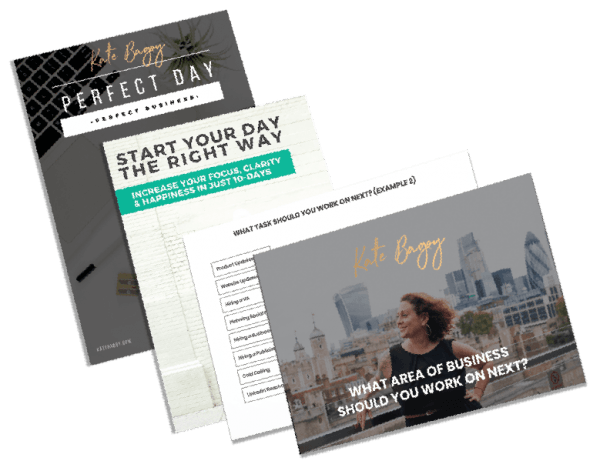 I had three sample packages – you know here’s a sample base package, here’s a sample high-end, done-for-you, you get every single thing you want… and your sample pricing. But, once I actually got them on the phone, which everything you do online is really about having a conversation, you’re warming them up – once you get them on the phone, do a custom bid for them and use software for that. I use BetterProposal.io is my new favorite. There are a number of really great tools out there for creating a comprehensive proposal. Adrienne: [00:28:55] What was it called? Sorry I missed that. Kate: [00:28:57] I use betterproposals.io. There is also – I used to use Bid Sketch and I know a couple of people that use Proposify. But, anyway you can create a really nice proposal that talks about why these people should work with you, what they’re going to get, a Statement of Work is usually good, and then you can break down the pricing in a number of ways and you can give them options. upsells are a really great way to enhance your bottom line as well. Adrienne: [00:29:33] Mm hmm. This is like, so much like, nuggets of good advice. Sorry. I feel like people are like “OK, like, I. starting to figure out how to package these…” What would you say for somebody who’s feeling like, “how do I put in a value into these packages to actually price it at $5k plus, and feel comfortable and confident going into those sales conversations? To say… “Yeah, this is the package, this is how much it’s worth.” And like, standing in that. Kate: [00:30:00] 100 percent. Yeah, I mean it’s important to do the work beforehand to really understand your market, and that’s going to tell you whether or not this person is going to value your skills. The other thing, is I have a sales coach that I work with. He’s amazing. His name is Matthew Kimberly, and he likes to tell a story about the Thousand Dollar burger. And the idea behind that, is you don’t know what somebody will pay, until you try and sell it… And so you can put a thousand dollar price tag on a burger and maybe it’s insane and nobody will pay it. But maybe there’s somebody that wants your thousand dollar burger – so don’t underestimate what your services are worth. And if you know your clients, you understand what they need and you know how to talk to them in their terms. Kate: [00:30:45] And again, focusing on the pain points and the outcomes that they want – not the things they’re getting – not the commodity. So, what is it that you’re really delivering with your service? Are they going to get an increase in sales? Are they going to get an increase in leads? Particularly when you’re working B2B, everything comes down to… they’re gonna get more money. That is why businesses exist. Businesses exist to make money, period. Kate: [00:32:06] You want to build a personal brand. Like, Andy Warhol didn’t sell $5000 paintings because his paintings were amazing – they were lithographs of soup cans, right? This was not unique. But Andy Warhol was really unique. And people wanted to be a part of his world, and they wanted a part of his world on their walls. So, look at how you can distinguish yourself, or how your artwork is different than others. And again, it’s all about understanding who your client is. And so for artists, your client is a little bit different… You know, it may not be that they’re trying to solve a particular pain, but they want to feel a certain way. They want their home to feel a certain way. They want to, you know, maybe they are modernists and they want really minimalist and high end, or maybe they are, you know.. more homey and they just want art on their walls that is coastal, and colorful. Right? Who are your people, and where are they hanging out? And what is it that they’re after – it’s all about understanding your audience. Adrienne: [00:33:14] So, how would you… what recommendations would you have in terms of like, how do we quantify that into a price and a package? Any recommendations? Kate: [00:33:25] You know, I’m not a fine artist, so I can’t pretend to price art well… but, I think, again, it’s understanding your audience, and what their budget is, and what they’re willing to pay to feel the way that your art makes them feel. Adrienne: [00:33:40] So what are some actionable steps that people can do to help discover what their market is willing to pay and stuff like that? Kate: [00:33:49] Talk to as many people as possible in the in the market that you feel is yours. Kate: [00:33:55] And so, if you can get yourself into a gallery, and you can be there and you can actually talk to people that come in – you know talk to them and make an offer and see how they respond. That’s one. If you’re, if you have a website with your art, and you’re getting people that are contacting you about them, make them an offer. And see what happens. You know like, it does take a little bit of testing, but you have to be making offers to sell – in order to find that out. Kate: [00:34:26] You can look – unless you’re in it you’re creating a new genre – you can look at other artists in the market that are doing well, the artists that you look up to in your field – what are they selling and how did they get there and what are their prices? And you can use that as baselines, and maybe you’re not as well establish from a branding standpoint – you’re newer to the field, your prices are probably not going to be there yet – but you can you know say “well, if he’s selling that type of work for $5000, maybe I can start at $2500.” And build from there. Adrienne: [00:35:00] Awesome. Awesome. I feel like for some people, because of the question we’ve been really trying to answer is “What do freelancers really need in order to land now like $5K client?,” I feel like for some we’ve just given them a lot more questions to think about. Kate: [00:35:16] Yeah, well the number one thing to figure out with a $5K client is who that person is, and what you have to offer them. That’s number one. And number two is talking to as many of those people as possible. Kate: [00:35:28] And that’s what you really need. Everything in business is designed to get you a conversation with somebody that is a potential client. You know, that’s what all this marketing stuff – all the online crap that we see about building a funnel and building an email list and building social media – all of that – ALL of it is designed just to warm people up to be interested in potentially having a conversation with you. That’s what online marketing is. Adrienne: [00:35:51] Yeah. And for those that are feeling anxiety, like “Oh my gosh, I’m going to have to do all this work…” It’s like, you’ll be surprised. Just have those conversations, and you’ll have so many aha moments that it’ll be like… “Oh, OK. This is a piece that I really need to make sure is in my package. Oh this piece? Not so much.” It doesn’t seem like it’s hitting home for some people, and you’ll be surprised when you do have these conversations with people. They’ll essentially build your packages for you. Kate: [00:36:21] Exactly. And then I have a super quick exercise you can do in like 30 minutes to an hour – to think about who your potential first client is or how to test this. Super simple. Take a pen & paper. It’s important to do it in pen and paper and not on the computer. I don’t know why. There’s just a brain – paper thing. Kate: [00:36:42] But, sit down and just make a list of 100 people you know that you could potentially ask for a referral, that you could invite them to work with you, that you’ve talked to in the past, just 100 people that you personally know. Just dump that out on paper out of your brain. Yeah. Adrienne: [00:37:03] So, family friends..
Kate: [00:37:05] Family, friends, people you used to work with, people you currently work with, people you’ve been to events with or MeetUps. Yeah all of it. Just write them all down. And then, once you have as many people as you think you can possibly write down, go through and circle the five people who you think would be the best candidate to work together – or who could refer you to somebody that you would want to work with – and get in touch with them. That’s your third piece – write ’em an email. Don’t go straight for the sale. You just build the relationship. You sent them a text and say “Hi, I’m thinking of you. How you been?”. Kate: [00:37:38] Boom. That’s like, the fastest way to start marketing your business, your services, your art work, whatever it is. Start with those warm lead – warm leads are the people that know you and like you already – they want to either work with you, buy from you, or help you. And if you have a conversation with somebody in they’re like, “It’s not really my thing, but I want to support you. What can I do?” You say “Well, who do you know that might want X, Y or X? Kate: [00:38:08] And it’s important to ask it that way – don’t say “well if you can think of anybody…” You say, “who do you know?” Because that question – that WHO – triggers them to actually start going through their mental Rolodex and thinking about who they could send your way. Adrienne: [00:38:25] Mm hmm. Yeah. I’m even thinking back – I did like video marketing years ago. Now I’m like transitioning to working with artists and creatives, hence the show. But, I remember the first time I landed my first $5K plus client, and it was… So, my parents are business owners, and they work in the real estate space, and so it was actually a really good friend of my dad that ended up being my first $5k plus client. This was somebody I had known for a couple years already. So we were good friends, and then I started doing video work for my dad’s company, and then… the people involved in my dad’s company saw my work, and then they would go to different events and they would just talk about it, talk about it, and then yeah… Then my dad’s friend was like “Oh I love your work.”. Adrienne: [00:39:17] He was such a fan of what I was doing, and it was kind of just a conversation – just relationship building – I never even looked at them like a price tag. It was actually like “Oh wow – like you wanna buy my services?” Like, I was kind of shocked at first, because I was just starting out, and there was this pretty extensive video package we ended up like brainstorming together and then after that first conversation, I was like “OK, now I know exactly what you want.. Let me like sit on this and come up with a package for you,” and then so that’s what I did. I took some space, I figured it out… And then we had another meeting and I was like “OK, like this is like my quote.”. Adrienne: [00:39:53] And then I was kind of sweating about it because it was a lot of money… And I was thinking “I don’t know how this is gonna go…” But I think another key thing, that you were mentioning off air, was this idea of like pay-in-fulls and giving a discount doing pay-in-full or doing a payment plan. And I did something like that – I think that’s what I did – it was a big hefty project and I was like “Well, if you pay the $5K up-front you get basically a grand off..” And… Yeah yeah, you package it right? Kate: [00:40:33] Yeah you package it, and you can break it down too. So, you know, if you are offering high end services, you can maybe break it apart and say “If you want all of these things…” Like for me, with websites, it’s like “Well, if you want me to do the copy, and the graphics, and the SEO and all of that…” I build them out separately on the bid, and they can choose. Kate: [00:40:53] They can provide me copy if they want to save $500 bucks, or that sort of thing… So there’s a lot of different ways to to break that up but, 100 percent – I think you nailed it there when you kind of talked about figuring it out as you go. I think you can’t emphasize that too much when you’re just starting out people. Creative people – we tend to be hyper-critical and a little bit perfectionistic in some ways, and we over complicate everything. Kate: [00:41:22] I mean, I can’t tell you the number of people that have come to me and been like “well, I have some people that said they want to work with me… but I don’t have a package ready for them.” Are you kidding me? You have people asking to work with you, and you’re turning them away because you haven’t pre-created a package? Adrienne: [00:41:39] Oh my gosh. It’s just.. You just threw money away. Kate: [00:41:42] You’re just throwing money away. But that’s what we do… and we do that sort of stuff all of the time. I get people that come to me and say “Well, I’ve had this website ready to launch for three months, but I don’t have the three blog post that somebody told me I had to have. So I haven’t launched it.” Launch the site! Adrienne: [00:41:58] Yeah. We just keep coming up with reasons not to do it. Kate: [00:42:04] Yeah… and that’s all about that mindset. 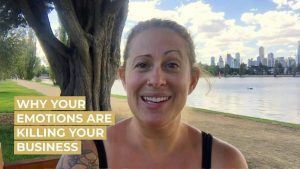 Kate: [00:42:05] Mastering your mindset is – from a long term standpoint – I honestly believe that your mindset is the number one thing that is going to make or break you as a business owner. Kate: [00:42:32] They’re gonna leave. They’re just gonna quit. They’re gonna go back and get a day job and they’re not going to stick to it. They’re not going to try something new. It’s like that old Thomas Edison quote – he didn’t fail a hundred thousand times, he learned one hundred thousand things that didn’t work. Kate: [00:42:46] And that’s a big part of their mindset and running a business… is just keep going and you know adjust your approach as needed. Adrienne: [00:42:54] Yeah. And on that note of talking about keep going…. I wish we could keep going with this interview, but we’re running out of time so I wanted to give you a chance to let people know about your six figure freelancers accelerator program. 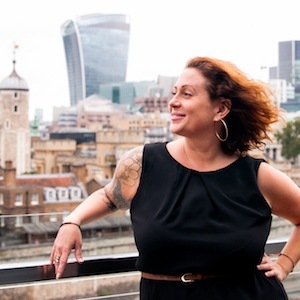 Adrienne: [00:43:12] And Kate is actually is so generous.. she’s giving you guys – just exclusively the ones tuning in today – a 14-day free trial of her six figure freelancers accelerator program. Do you want to talk about that really quick? Kate: [00:43:27] Sure. Yeah. So Six Figure Freelancers is my passion project. It’s something I started while I was travelling with Remote Year back in 2017. I kept meeting these super talented creative people that could not find freelance clients, and I was like “Why is this so hard for you?” And then looking back, of course -of course, I had had that struggle myself when I was starting. I had just figured it out by that point… So it was like “Why are you not… Anyway, I created this program initially as a 12-week program for landing your first big client. Now you get lifetime access if you do upgrade to a paid account, so you can take your time with it, but it is designed to help you work through that six figure freelancers formula – your mindset, your business plan and marketing plan, positioning, creating packages, setting your prices – all of that is included in the program. Kate: [00:44:17] And yeah I have hooked you guys up with a 14-day free trial. You’re welcome to look at everything in the program – you get full access right now. We’ve got some exciting new stuff coming in 2019, but… You’ll get full access for 14-days with no credit card required. And then if you decide to upgrade, I’m going to give you a nice little bonus… If you pay in full, you will get $500 dollars off of your enrollment fee. Adrienne: [00:44:41] Yeah. And here’s the thing that I love – because you’re doing what you’re preaching right now. So if you guys still had more questions about packaging, like go check it out… see how she put things together, see how the offers are made… start looking at the world a little bit differently. Kate: [00:45:26] Yeah it’s pretty, pretty amazing thing. And I’d just like to emphasize as well that if you do decide to join me in the program, you know, it’s not just an online course. It’s not academic – where you’re going to watch a lecture and then everything’s going to magically work. This is a coaching program, so it’s just going to guide you through actually doing the work of building a business. Adrienne: [00:45:45] Amazing. Amazing! OK, looking at the time, we really got to wrap this up. Adrienne: [00:45:50] Is there one final note that you want to leave the creatives? Kate: [00:45:56] I want to let you know that no matter where you are in the process – no matter your experience – you know, if you set your mind to it, you can create the business that you want from your creative gift. Kate: [00:46:09] Creativity is one of the most powerful gifts we have in the world. And if you are blessed with it, you are lucky. BUT… You gotta learn how to think like a business owner as well, to really make a profitable business happen for you. And you totally have that capability. So, whatever struggles you have had in the past, or fac the future, do not give up on your dreams. You are worth it and you can do it. Adrienne: [00:46:35] Beautiful. I’m fired up. I don’t know about ya’ll, butI’m fired up. And on that note, stay inspired, stay motivated, and stay on your grind because the world needs that special gift that only you have. Thank you so much Kate. Adrienne: [00:46:53] And thank you so much to everybody tuning in. That wraps up this masterclass. And yeah we’re gonna get out of here and live our best thriving artist lives. Kate: [00:47:08] Woot! Design a life you love, baby. [00:47:08] Our six figure freelancer lives.